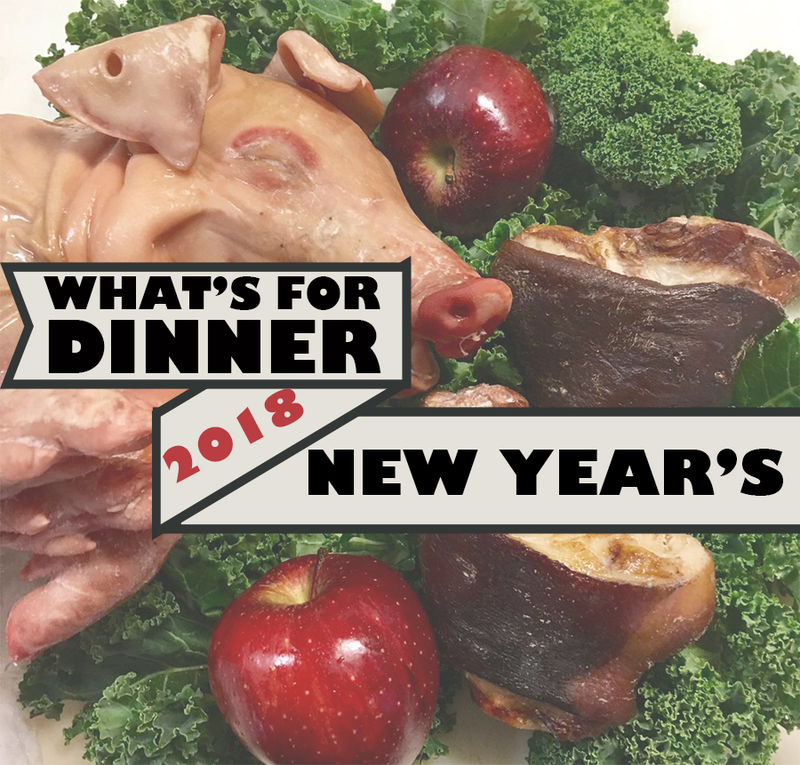 PAM THE BUTCHER'S NEW YEAR'S OFFERINGS: Entertaining at its best -- we offer everything from a 12lb. Piglet + Ham Hocks to Crown Roast of Pork + Pork Tenderloin. Don't forget to serve Hoppin' John on New Year's Day -- it's said to bring a prosperous year filled with luck.